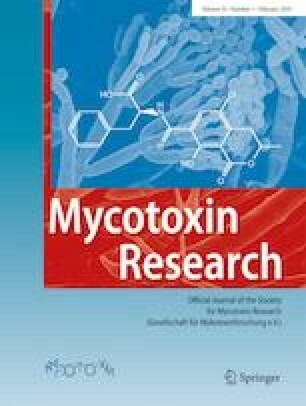 This study attempts to evaluate the potential aflatoxin binder activity of a molecularly imprinted polymer (TMU95) synthesized to target the aflatoxin B1 (AFB1) analog molecule in comparison to a commercial toxin binder (CTB). Adsorption experiments were carried out to assess the ability to bind to AFB1 at various pH values. The strength of binding was investigated by the chemisorption index. The isothermal analysis was used to determine the maximum adsorption capacity values. The ability of TMU95 and CTB to adsorb essential minerals was evaluated and the obtained data suggested that CTB would significantly reduce availability of them compared to TMU95. 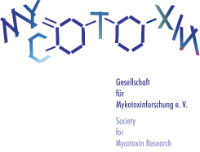 The in vivo efficacy of TMU95 as an aflatoxin (AF) binder in duckling exposed to aflatoxin-contaminated feed from 4 to 18 days of age in comparison to the CTB was also assessed. TMU95 and CTB were effective in reducing the adverse effects caused by AFs on feed conversion ratio of duckling (p ≤ 0.01), and also showed a minor reduction of injuries caused by AFs on visceral organs enlargement (p ≤ 0.01). It was concluded that TMU95 could absorb AFB1 in vitro efficiently and had beneficial health effects that could alleviate some of the toxic effects of AFs on growing duckling performance similar to CTB. The online version of this article ( https://doi.org/10.1007/s12550-019-00353-z) contains supplementary material, which is available to authorized users. The authors would like to thank Dr. Rasoul Rahnamaie from Faculty of Agriculture, Tarbiat Modares University, for his kind assistance with the polymer and commercial toxin binder characterization. This research was partially supported by Vivan Group (Mashhad, Iran). The animal use protocol was approved by the Institutional Animal Care of Tarbiat Modares University.